Last summer, senior Austin Blewer and junior Zachary Kinder became interested in archery. After discovering that there was no club on campus for fellow archery enthusiasts, they decided to create their own. Spring 2018 serves as the first official semester for Archery Club. The club currently has seven members, six students and one student coach. They practice on Saturdays at the Archery School of the Rockies from 11 a.m. – 1 p.m.
“The goal of the club is to provide students and members the opportunity to learn, compete, train and enjoy archery, along with meeting new friends and having a place to relax every weekend during the school year,” said Kinder, who serves as club vice president. The club is not intending to compete just yet, according to Blewer, club president. “The club wants to start fundraising efforts in order to support a competitive team,” said Blewer in an email. In archery, athletes need bows, arrows, a bracer or arm guard and finger tabs for protection, and the target. “Targets range from the traditional black-blue-red-yellow or foam targets, to dots, golf tees, and bar codes,” Blewer said. Practices last about two hours. During a normal practice, new members are introduced to a coach. 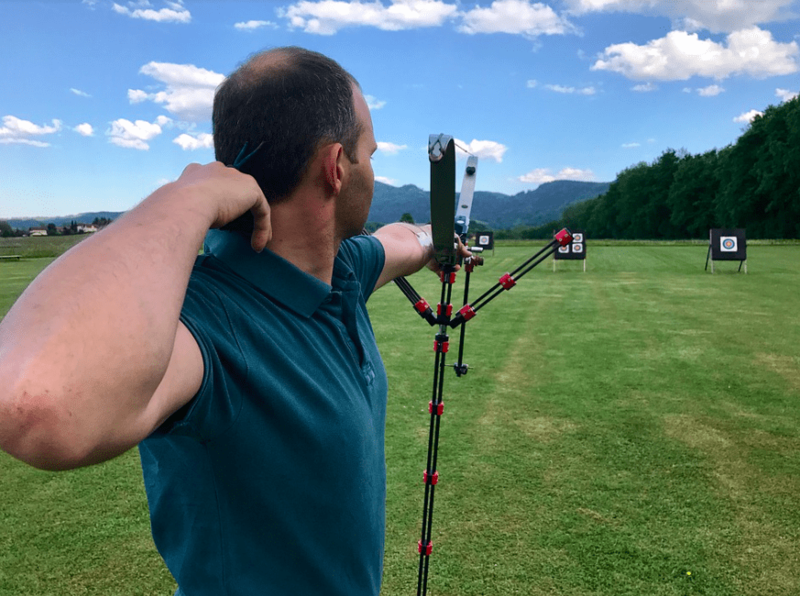 A USA Archery level one or two coach is typically available to coach the students, according to Blewer. “The coaches are there to help each individual train and practice at their own pace. We do not have a fixed practicing scheme that everyone has to try to follow,” said Kinder. While ASR does have an indoor range for use during any type of weather, Blewer mentioned the possibility of using more outdoor ranges once the weather improves. At ASR, Archery Club has access to a private shooting arena, which is rented specifically and solely for the UCCS’ Archery Club’s practices. Once Archery Club has become more well-known, both Blewer and Kinder hope to build a varsity program for the club, which is the highest level in the United States Collegiate Archery program. Varsity programs include paid coaches, a traveling team, sponsored support, and consistent training. For more information on Archery Club, contact Blewer at ablewer@uccs.edu or Kinder at zkinder@uccs.edu.